Washington Capitals centre Nicklas Backstrom could lose his silver medal from the Sochi Winter Olympics for the second time. According to Ken Campbell of The Hockey News, the World Anti-Doping Agency (WADA) has appealed a decision by the International Olympic Committee (IOC) and the International Ice Hockey Federation (IIHF) to clear Backstrom of any wrongdoing at the Sochi Games. "The decision to exonerate the athlete was recently appealed by WADA to the Court of Arbitration for Sport," WADA's senior manager of media relations and communications Ben Nichols wrote in an email to The Hockey News. "As with all pending cases, and adhering to the proper and normal respect for the integrity of the legal process, WADA will refrain from commenting on the subject until the appeal has been completed and a decision rendered by the Court of Arbitration for Sport." 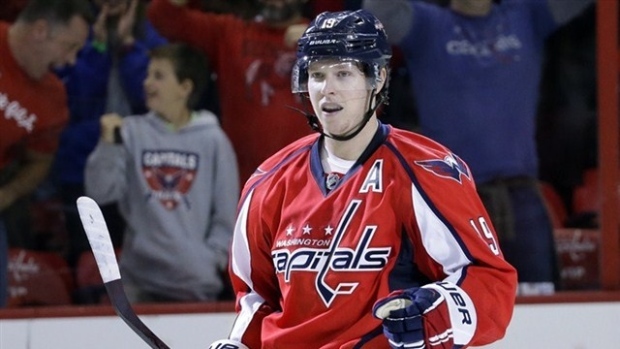 NHL deputy commissioner Bill Daly responded to the news, saying that the league supports Backstrom. "WADA is an organization that has clearly overgrown its original mandate and purpose. It's a travesty," Daly said. WADA is refraining from commenting until the appeal is completed. It is unclear whether Backstrom would be forced to surrender his silver medal and be banned from international competition if the appeal is successful. Backstrom was not allowed to play in the gold medal game against Canada in Sochi because he had tested positive for pseudoephedrine. He was eventually cleared and got to keep the medal.